After a welcome and introduction to CAHG by committee member, Peter F Mason, Tim Wormleighton, Devon Heritage Services Manager talked about one of the long-term aims of the Devon Heritage Service which is to develop and support community heritage work across the county. 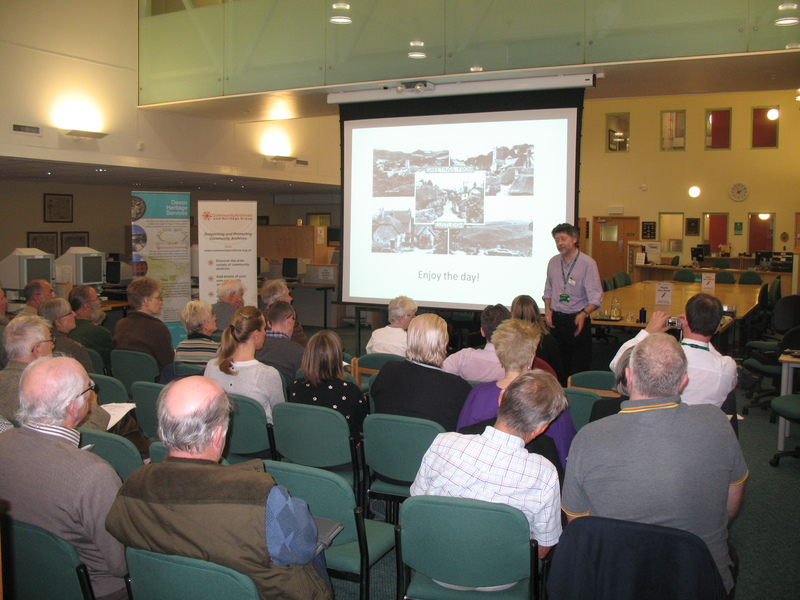 The Heritage Services have recently launched the Devon History Forum to offer a mutual support group and online forum for members of different groups to interact informally with each other, share views and experiences and discuss ideas, and a ‘Devon’s Heritage’ community on the community archives collections website, eHive. A key aim of the regional seminars organised by CAHG is to provide information to groups on funding. Philippa Davies, Development Officer at the SW Regional Office of the Heritage Lottery Fund described current funding programmes of interest to community groups. This was followed by a talk by Janet Axten of St Ives Archives on generating income through publishing. The Archive has, through self-publishing, managed to generate an increasingly important regular income. After lunch the seminar heard from two projects which have been successful in engaging their communities. Peter Rennells and Anthony Beard of the Widecombe in the Moor Local History Group described the North Hall Project which was the result of 15 years of excellent research undertaken by Widecombe History Group member Peter Rennells. Peter’s enthusiasm for the story of the medieval manor of North Hall inspired a successful community based archaeological excavation in the summer of 2013. This was followed by a presentation by Alan Butler on ‘Archiving the Ephemeral’. Alan’s project, Pride in Our Past, Plymouth, was the winner of the ‘Most Inspirational Archive’ in the 2011CAHG Awards. In an amusing an interesting talk Alan drew attention to the fact that little archival material exists to represent the historical experience of many LGBT (Lesbian, Gay, Bisexual and Transgender) communities due to the fact that diaries could fall into the wrong hands and letters could become a means of blackmail. As a result, LGBT identity has usually been forged in a shared moment and through interactions in places considered safe to perform in ways that challenged society’s norms. Plymouth’s LGBT archive, formed from the Pride in Our Past project, seeks to highlight examples of the representation of memory, occurring within the LGBT communities in the city, and explain their potential significance for the conventional archives of the city.